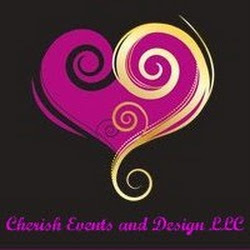 Cherish Events and Design LLC Offers all aspects of event planning, including consulting, design, coordination, and full-service wedding planning. In today’s world, convenience and efficiency are top priorities. Let Cherish Events and Design LLC design and coordinate your events so that you can continue with your daily life. It is our belief that your planner should come to you. So, for your convenience, we are able to meet you where and when you see fit. Also, unlike most planners, we are trained and certified, so you can rest assured that your events will flow smoothly and create lasting impressions. We invite you to allow us to bring your vision to reality. Are you lost in the specifics of planning your wedding or event? Let Us Help! We also offer service packages if you have multiple roles you'd like filled. We are there for you as little or as much as you need us to be. Our company is based on the belief that our customers' needs are of the utmost importance. Our philosophy is that from day one to day of, we are there for you. As a result, a high percentage of our business is from repeat customers and referrals. We would welcome the opportunity to earn your trust and deliver you the best service in the industry. Cherish Events is here specifically to cater to your needs. There is no minimum or maximum for us to serve you. Helping you plan your wedding or event is our passion and we will work with you to develop a suitable budget and plan to bring your vision to life. Please call, text, or feel free to contact us via our website for more information on products, current promotions and custom options. And don't forget to stay up-to-date via our social media for exclusive contests and promotions! Also, for your convenience, we have many payment options to suit your needs! We accept most major credit cards, debit/atm cards, checks, paypal, and cash. As a Certified Wedding Planner for the Association of Bridal Consultants, we are in a position to offer you many benefits that other companies and planners cannot. ABC has more than 4,000 members currently located in all 50 states and 31 countries. This network of professionals allows us to help you with all of your needs. Our members work with each other to tackle challenges, provide information, and work in cooperation worldwide. In addition to education and networking, ABC provides buying power for products and services at prices individuals cannot obtain on their own. ABC members can access discounts on items such as wedding invitations, wedding accessories, floral items, music, catering, honeymoons, and wedding guest hotel room blocks, all of which give a bride a special reason to seek a Certified Professional with the education and expertise to make your day as close to perfect as possible. Lastly, stop by our site and check out our blog, The Rendez-vow! for the latest and greatest wedding topics, and sign up for our RSS feed!